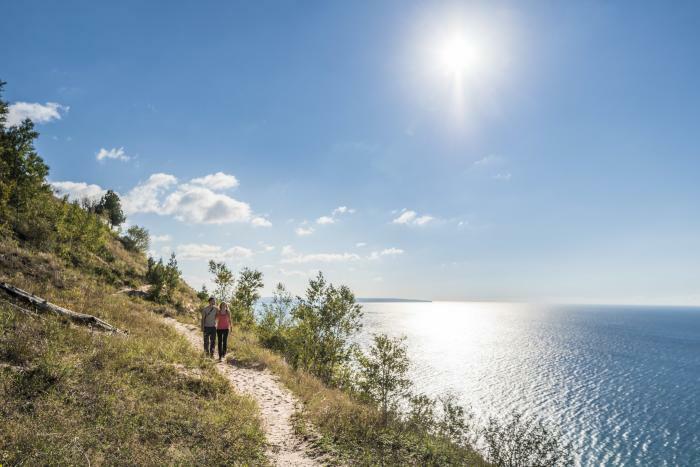 #empirebluffs, #empirebluff or #empireblufftrail, look up one or all of these and you will be pleasantly rewarded with an array of photos that show off this beautiful trail that is part of the Sleeping Bear Dunes National Lakeshore. Stunning images depict the trail&apos;s lush canopy, scenic overlooks and magnificent views of Lake Michigan. 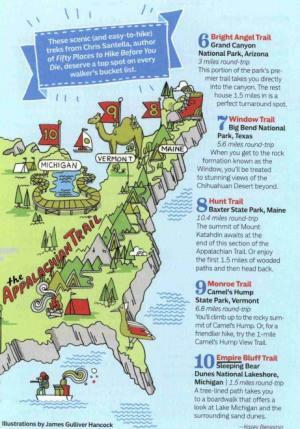 It&apos;s no wonder this section of the National Park was just named 1 of 10 Best Walks in America by Prevention Magazine. The trail offers walkers and hikers something in every season. From spring wildflowers to snow-capped dunes this trail does not disappoint! Fall offers a rainbow of color and the Caribbean blue of the water takes center stage in the summer. 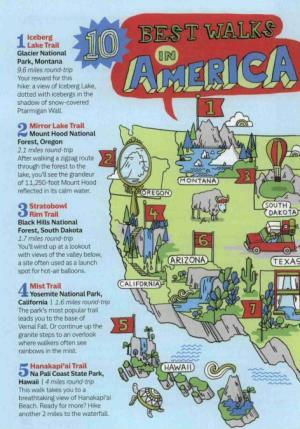 Plan a short hike to get a quick dose of nature therapy or take your time. Benches line the trail and there are several spots at the top to kick back and soak it all in.